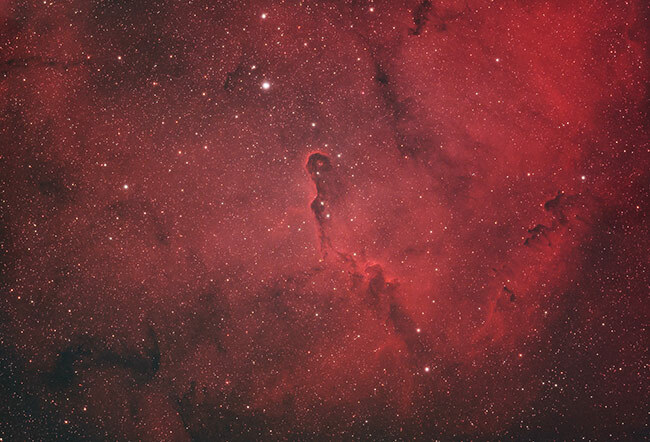 The Elephant’s Trunk Nebula (Catalogued IC 1396) is an emission nebula in the constellation Cepheus. The photo below showcases the image I was able to capture from a city backyard using a narrowband filter. To get an idea of what went into capturing this image, you can watch my video Let’s Photograph the Elephant’s Trunk Nebula. A wide-field refractor telescope with a focal length of 550mm was used to collect a large area of the night sky at once. With a dedicated field corrector attached, I was able to record images with sharp stars right to the edge of the frame. The Sky-Watcher Esprit 100ED is an impressive little telescope for astrophotography. Although I have attempted to shoot this target many times using a DSLR camera, my latest results using a dedicated astronomy camera are the best yet. The TEC cooling system on the ZWO ASI294 MC Pro allowed me to record 5-minute exposures with very little noise. 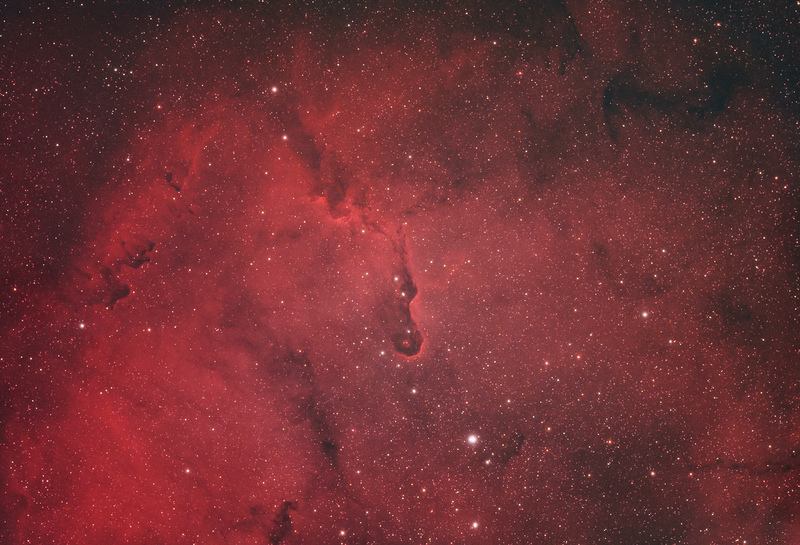 For a detailed description of this deep sky imaging session, please see: Photographing the Elephant’s Trunk Nebula.